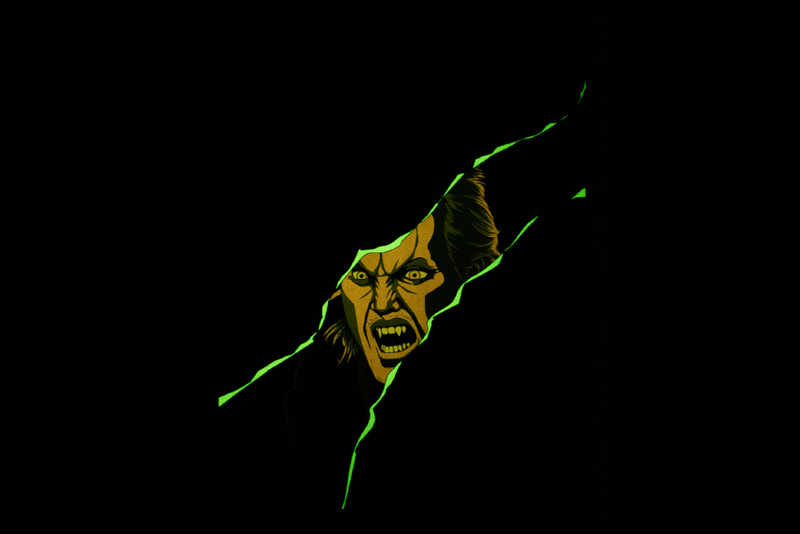 Click the image above to reveal the glow in the dark layer! I’m back with another poster with Gallery 1988. 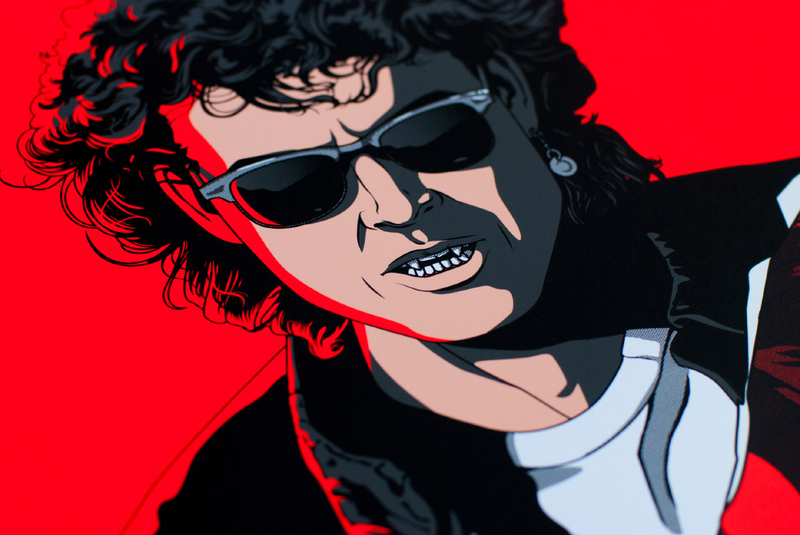 This time with a piece inspired by The Lost Boys for their annual “30 Years Later” show. I am a huge fan of this movie, I might even say it’s my favorite movie (but that list fluctuates depending on how I am feeling that day). This was incredibly important for me to get right, and it was a really difficult task. This is the 5th version of this poster that I worked on. The other 4 versions were designed to varying degrees. Some didn’t get past a couple hours of inking, while some were almost completely finished but then scrapped for other ideas. I lost sleep working on this poster, and while tossing and turning I finally came up with what I am showing right here! 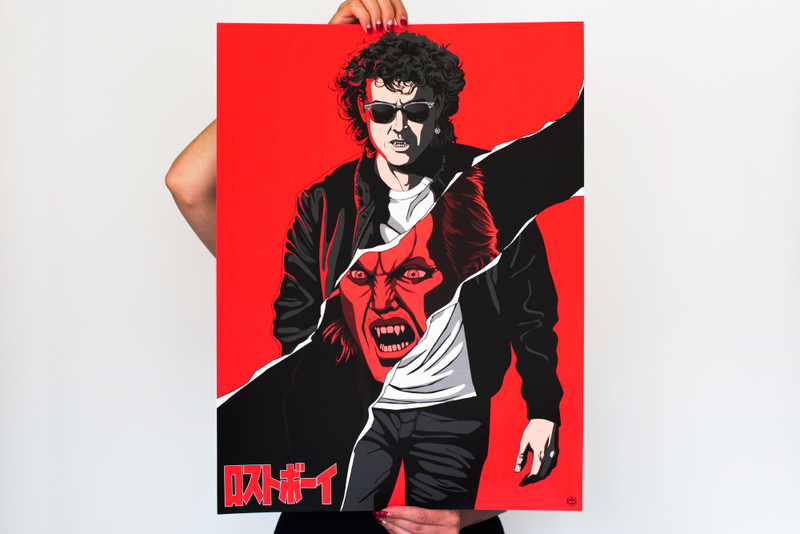 This is a 5 color screen print with fluorescent red inks and there is even a special glow in the dark layer (click the first image to see what that is). My good friend Danny Askar did an incredible job printing these (as he always does). 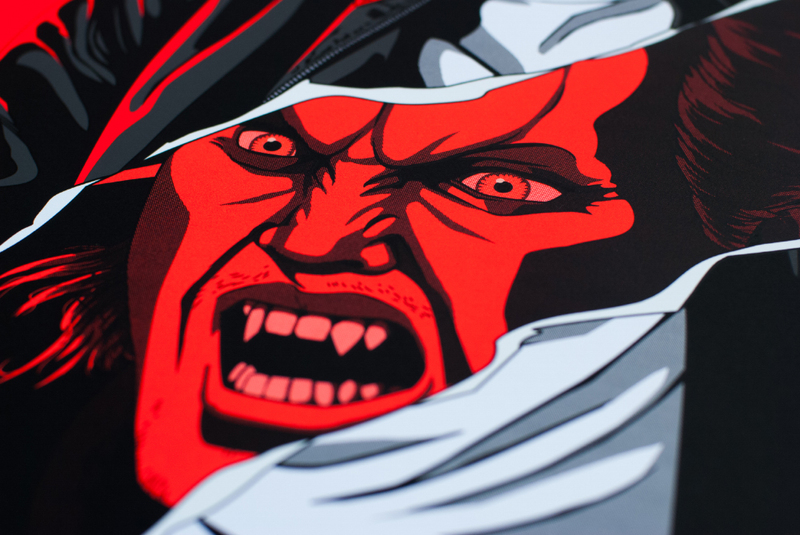 Hopefully you all enjoy it, and you can grab one of them on the Gallery 1988 website!